Did you know we brew our own beers? 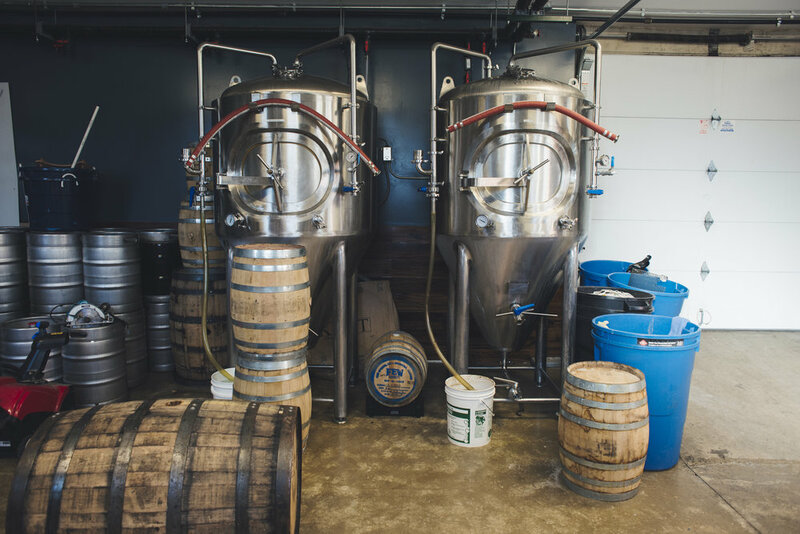 Our brewery is on-site (tours available!) and we currently house a 3 1/2 barrel brew house with two 7-barrel fermenters. We typically have between 8 – 10 of our house-brewed beers on tap, and rotate them in and out roughly every other weeks. All of our beers are available as a half pint, full pint, or refillable 64oz growler! Not sure which beer is for you? We also offer flights! Perfect way to figure out which one to order as a pint! Stay up-to-date with what’s on draft by checking out our drinks page. See you soon! Our housemade beers change often, but here is a sampling of what you can typically find on draft! Toasted malty characteristics, notes of brown sugar and caramel, with enough hops to give it a perfect balance. Complex, dark and tart, notes of cherry and molasses. Golden color, with cracker and citrus notes. Caramel and dark fruit flavors, warming alcohol and subtle banana and clove aromas. Dark, deep, rich, full-bodied porter with hints of cocoa, coffee and toasted biscuit. Fruity and earthy aromas for this semi-dry farmhouse ale. Full of fresh citrus flavors and aromas, nicely balanced with light caramel malts. Mosaic and Citra hops give this IPA a tropical juicy kick. Explosive citrus flavor with a solid malt body and spicy finish.